Singapore’s Environment and Water Resources Minister Vivian Balakrishnan has recently announced that the republic will have cleaner air by 2020. To meet this deadline, the city-state has adopted the standards set forth in the World Health Organization’s guidelines on air quality. In line with this goal, Singapore will impose more stringent preventive measures against major sources of pollution, including refineries, vehicles and power generation companies. Among other salient programs, a concentrated effort to reduce the sulphur content of fuel will be undertaken. For example, by April 2014, it will be compulsory for all new petrol vehicles to pass stricter Euro IV vehicle tailpipe emission standards, in lieu of the current Euro II standards established in 2001. Speaking at the recent Singapore Environmental Achievement Awards Ceremony at the Grand Copthorne Waterfront Hotel, Minister Balakrishnan announced efforts to meet short-term daily targets, rather than annual goals, in terms of eliminating common pollutants. Until recently, PM2.5 levels – or the level of fine airborne matter that can dangerously lodge in a person’s lungs and bloodstream, thus posing a number of health risks—were only published once a year. To accommodate frequent fluctuations, air quality data – including PM2.5 information – will be made available to the public thrice a day instead of just once. This data will be published at the National Environmental Agency’s (NEA) website at 8am, noon and 4pm daily. In general, the NEA will enhance its air quality reporting system to ensure that the public has access to timely information on the state of air quality in Singapore. 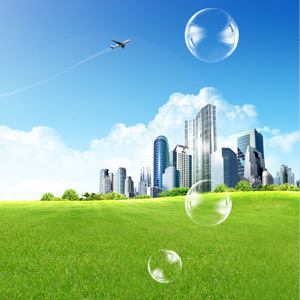 Analysis by Mr. Satish Bakhda, General Manager and Head of Operations at Rikvin, a Singapore Company Registration specialist, highlights the link between clean air and the economy. Rikvin further pointed to Mercer’s 2011 Quality of Living survey, which ranked Singapore first in Asia and the only Asian city in the top 25 most liveable cities in the world, as a reflection, in part, of the city-state’s clean air efforts. “Our low pollution levels are a major factor in the Mercer rankings. In addition to high personal safety, political stability, world-class infrastructure and public services, Singapore’s reputation as a garden city has made it one of the best places to live in the world,” said Mr. Bakhda. “While we exceed our Southeast Asian neighbours in terms of clean air, Singapore’s air quality still needs to be at par with global standards. The NEA’s continued vigilance and the government’s spending in this area are a step in the right direction. At this rate, I am optimistic that Singapore will achieve cleaner air in 2020,” Mr. Bakhda concluded.